Traveling on the Rhine; visiting the villages seeing so many historic sites and museums. Staff were very cordial and friendly, taking care of any issues or questions. Dining facilities were beautiful and meals were delicious. Local fares most enjoyable. Cruise ship and staff were accommodating. The docking and ports were less than expected and generally out of the way, having to be bused around was not what we had expected at all. Little time to explore on one's own in most stops. due to high water, the ship had to make considerations and they did an excellent job assuring passenger and ship safety. I would highly recommend a Viking River Cruise to everyone. The attention to detail and personalization was amazing. The staff was outstanding. They bent over backwards to accommodate your every need. I would definitely go on another Viking ship. As a frequent Caribbean cruiser, I started our Rhine River cruise with some presuppositions. 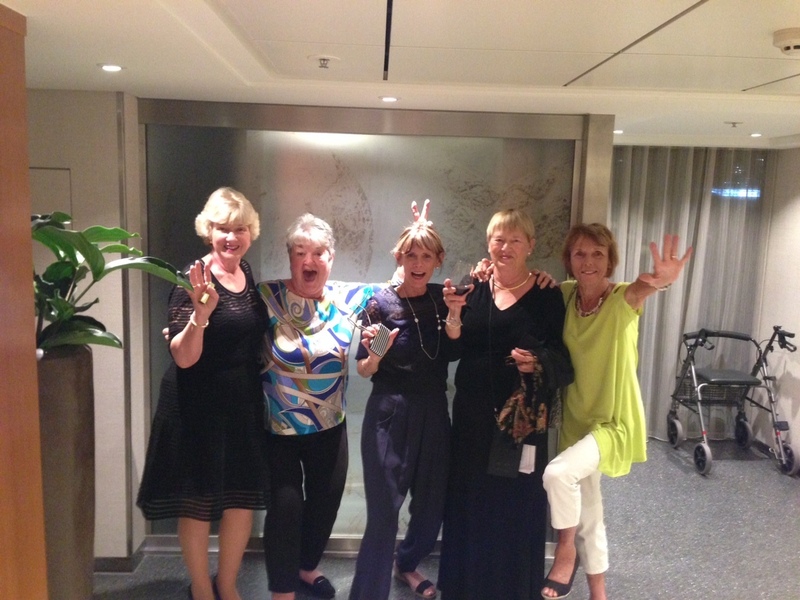 Much to my delight, the Viking Cruise was very very enjoyable and different in most every way from a Caribbean cruise. First was the anxiety-reducing steps Viking provides. They sent us an itinerary that even told us which escalator to take in the destination airport! Viking handled our air tickets and even managed to get aisle seats without us asking! As soon as we cleared Customs, they took our suitcases, gave us a cheerful greeting, a warm washcloth and a bottle of water. Our cabins were ready: immaculate and our steward attentive and friendly. They had a light lunch ready and we took an excursion the first day! On these River Cruises, the emphasis is on the destination. Every day at least one excursion is available at no extra cost; some days two or three! They provide radios so everyone can hear the guide without shouting. They moved us around on clean buses and again, provided bottled water and large umbrellas for everyone. They pointed out certain excursions that were very physically demanding. They always made sure everyone had a 'bathroom break,' ashore and told us that the usual charge was 0.5 Euro. There were hour-or-so rides on buses at many stops, but these were comfortable and safe and the guides talked the entire time. I felt like we understood a bit of what was behind life at the destination, whereas in the Caribbean, I felt like an outsider everywhere we've been. Viking doesn't 'nickel and dime' passengers at all. Extra excursions and premium beverages were the only thing that was an extra cost. They had a few shirts, hats, jackets, etc for sale, but no pushiness whatsoever, and no selling over loudspeakers as we've experienced on some cruises. The meals were very good. Open seating allows a variety of companions. Unlike Carib cruises, every day had some outstanding dishes, 10 on a scale of 10. We had some of the best steaks and fresh pastries we've ever enjoyed. They offer dining alternatives (no room service) and we chose to eat in the outdoors dining room half the time. Beer, wine, juice, coffee, and soft drinks are free, and even better: they had two gourmet coffee dispensers where we could get lattes, cappacinos, macciatos, all day and night, and usually a fresh cookie or siropwaffel, as well. We saw no drunkenness or loud partying. German Night was a bit rowdy with live polka music, but I'm sure many people enjoyed it. The overall ambiance is restrained. Live piano music was featured every night and live music three nights (out of 7). The light classical performance was extraordinary. They had top-notch toiletries in the bathroom, and even a heated floor therein! The rooms had a fridge. Overall, everything was personalized. They provided virus-free laptops for free use of guests. There was no rushing, although they tell you and follow through on starting ahead of time. There was very little waiting in line. Our Rhine cruise experience was like a 5-star resort vs. a budget hotel for most Caribbean cruises. Thank you Viking and Cruises Only for helping us have a relaxing, learning, enjoyable, new vacation that was an excellent value. We look forward to our next time sailing on a European river cruise. I enjoyed my Viking experience. The crew was courteous and professional and met expectations. The rooms are small but clean and efficient. Our only issue was the single time for meals. Dinner was always at 7pm, much later than we are used to eating. There are no snacks available in between meals. We finally figured out we could take extra yogurts and snacks from breakfast and put them in our fridge for later. On our cruise many onboard came down with a respiratory virus. My wife had to stay in bed for 3 days. The stops were great and we enjoyed plenty of free time to stroll and explore on our own. The included excursions gave us a good introduction to the cities we visited. I would cruise again with Viking, but at a warmer time of year (We cruises in December).